As Great Britain battled its way into the 19th Century, the Industrial Revolution was just the vain hope of a few, but In 1770, when Captain James Cook claimed the east coast of Australia, it sets a precedent for later expansion during the Victorian era. In 1783, after the American War of Independence - in which 13 American territories were lost – Great Britain, finally turned her attention to other countries, in order to establish more permanent colonies, which it so successfully did. During the long reign of Queen Victoria, this meant that Britania - not only ruled the waves - but also one third of the planet. 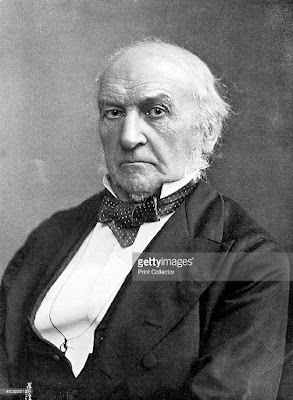 William Gladstone was a man not known for his good humour. He did however have a strong Christian belief, and the archetypal Victorian views on morality, which dominated the Victorian period. And, sitting as a Liberal Prime Minister, he became known for two things. Firstly, he was lumbered with the sobriquet ‘The Peoples, William,’ because he undertook so many drastically needed social reforms - in a black and blighted industrial Britain - which was choking on its own success. 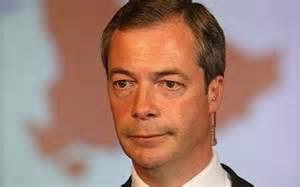 He even opposed Turkey's bloody reaction to the Bulgarian April Uprising, not only gave vocal support in the UK parliament for the Bulgarians, but he sent military equipment as well. This earned him recognition, and by the naming a Sofia street after him - which is just off Slaveikov Square – their undying respect. Invariably considered the quintessential Welshman, Lloyd George was in fact born in Manchester on 17 January 1863, the son of a schoolmaster. From 1905 to 8, and as a Liberal, he was appointed to serve in the Campbell-Bannerman government as President of the Board of Trade. During this time he oversaw the passing of the Merchant Shipping Act in1906, and the formation of the Port of London Authority in 1908. 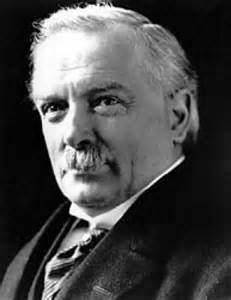 In the Asquith administration of 1908 to 15, Lloyd George served as Chancellor of the Exchequer and devised the controversial "People's Budget" of 1909. The budget promoted higher land taxes and the introduction of a super tax on incomes over £3,000, so as to fund social reform programmes, and rearmament of the Royal Navy. His budget was rejected by the House of Lords - bringing about a constitutional crisis - with the Lords opposing, for the first time, a government budget. Lloyd George relished the opportunity of attacking the Lords, which had impeded a number of the Liberal's social justice bills. Consequently the Parliament Act of 1911 severely cut back the powers of the House of Lords, restricting the ability of the upper chamber, in opposing finance bills, passed by the Commons, something which is often ignored. Out of office, and politically in the wilderness, during the 1930s - because of his opposition to increased home rule for India and his resistance to the 1936 abdication of King Edward VIII, Churchill took the lead in warning about Nazi Germany and in campaigning for rearmament. 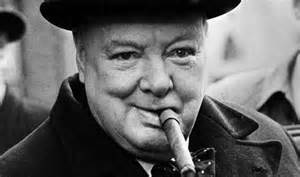 At the outbreak of the Second World War, he was again appointed First Lord of the Admiralty, and following the resignation of Neville Chamberlain on 10 May 1940, Churchill became Prime Minister. His speeches and radio broadcasts helped inspire British resistance, especially during the difficult days of 1940–41 when the British Commonwealth and Empire stood almost alone in its active opposition to Adolf Hitler. He led Britain as Prime Minister until victory over Nazi Germany had been secured, despite his great age. The remarkable thing about these three leading Brexiteers, is their obvious lack of any statesmanlike qualities, because, the way they purport themselves on the public stage is neither elegant, nor stylish. But, are these erstwhile politico’s, the sort of people to whom the British voters should have unquestionably offered their allegiance and respect as economic guru’s? Have they – rather like the aforementioned political luminaries from the past – steered our great nation, on a dependable patriotic cause, to a political nirvana we British all so justly crave? Well, they would have you believe that, wouldn't they; all three men being of such great moral character and intrinsic honesty? The mind boggles! How was it that an entire nation could be backed into such a disastrous cul-de-sac, with no way out? 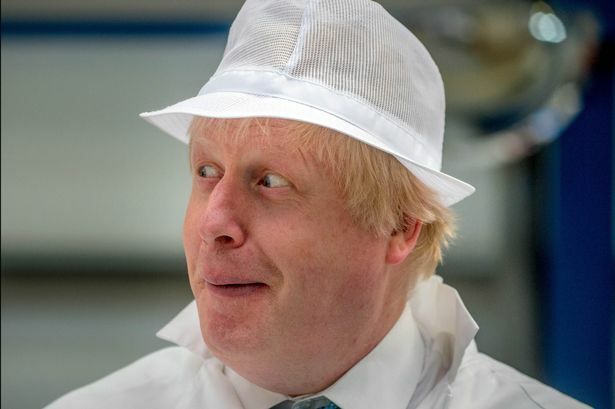 Deep inside the catacombs below number 10 Downing Street, and unbeknown to many honest London citizens, there lies a bleak and forlorn torture chamber, from which – very late at night - hideous screams can be heard. This is where Theresa May spends her evenings, and where she extracts the truth, from her erring cabinet ministers. Dressed in her familiar net stockings, horizontal striped sweater, with French beret, and carrying her trademark horsewhip, she often entertains Boris Johnson, who recently likes to be referred to as Mr. Bun the Baker. ‘Please hit me again,’ an almost manic look of gratitude sweeps across the face of Mr. Bun, as he enjoys the masochistic pleasures, of a friendly chat with the recently elected British Prime Minister. ‘No, Mr. Bun, I will not indulge you in any further ludicrous and pleasurable bouts of punishment, until you have learned your lesson.’ She puts down her horsewhip and lights up a small cheroot. Swigging down a quadruple measure of neat Grouse scotch whiskey, she looks at her grovelling Foreign Secretary, with contempt. ‘Unless, of course, you wish to give up the day job, Mr. Bun, and go back to scribbling for a living, I suggest you put up with French jibes, German sneers, and bad Italian jokes. It may not have crossed your mind, Mr. Bun, but you, and the other two wally’s, have caused me a great deal of grief.’ She gives him one last kick with her Doc Martins, before allowing him to get up from his semi recumbent position, on the sawdust strewn and blood soaked floor. Oh dear, is it really irreversible? Are we now stuck with unraveling forty years of EU negotiations – from Charles De Gaulle’s veto in 1963 to our final accession in 1973 – and all those in between years, when we were told that things were on the up and up. And they were, for the most part, barring the odd property crash – 1969, 1974 and 1989 – and of course a total worldwide financial crash in 2008 - almost papered over by now - and all thanks to some unprincipled and greedy Wall Street bankers. To say that it has been a 40 year roller coaster ride, may be a bit rich for some, but at least being in the EU has helped to stop Europe descending into chaos – like the aftermath of the Great Depression in 1930 – and of course into unnecessary conflict. Whilst the petty bourgeois count their penny’s, claiming that the Brexit will be better for all, what they really mean in fact, is better for them. Oh, and lets not forget all those British pensioners living abroad, who either voted or were not allowed to vote in the referendum. When the British pound crashed, did you happen to notice how your monthly payment also crashed by some 20%. That is democracy in action for you; you should be pleased to be part of this great social experiment, and thank you, once again - Nigel, Michael and Boris - and all your thoughtful supporters!